Rocks are Really Big – Baby! Every year the Mineral Information Institute delivers a baby… A mineral baby that is. 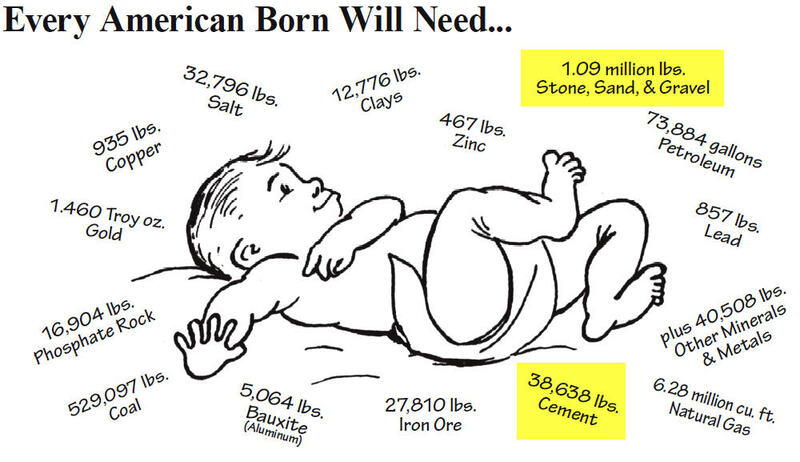 The “baby” is the MII’s way of demonstrating the demand for minerals in the United States. 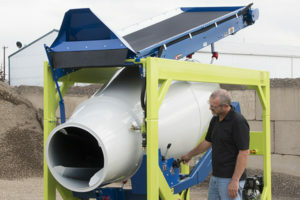 It is always amazing to us to realize the volume of materials it takes to maintain our society. 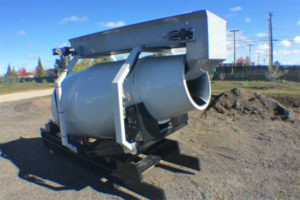 When you consider these volumes you will quickly realize that concrete mixers of all sizes must really be working hard to feed the construction demands of this baby. 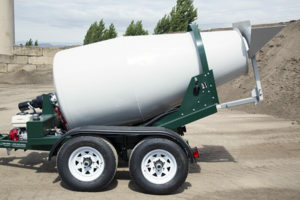 One need only realize that every person in America requires almost 500-pounds of portland cement every day, just to feed our huge concrete appetite. 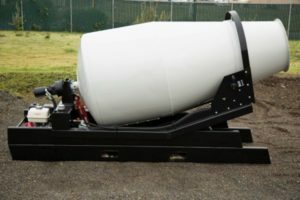 If you thought that cement usage was a big number, take a look at our sand a gravel needs every day… 5,599 pounds of these aggregates end up being mixed for concrete projects every day for each man, woman, and child. These big numbers help us to better understand our dependence upon a good material supply chain that starts at mining and ends when the concrete is delivered to the forms by the mixer.